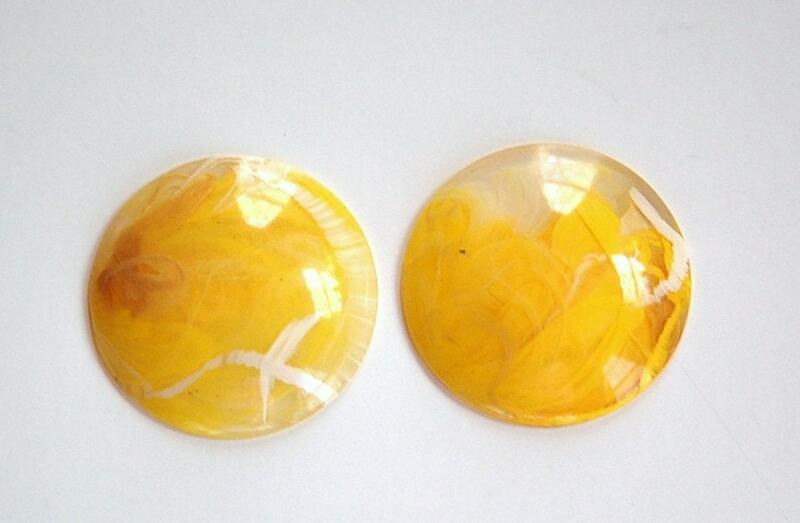 These are vintage lucite cabs that were made in Germany. They are clear with a random mix of yellow and white swirled together. These measure 30mm. You will receive 4 pieces.